Outstanding review! 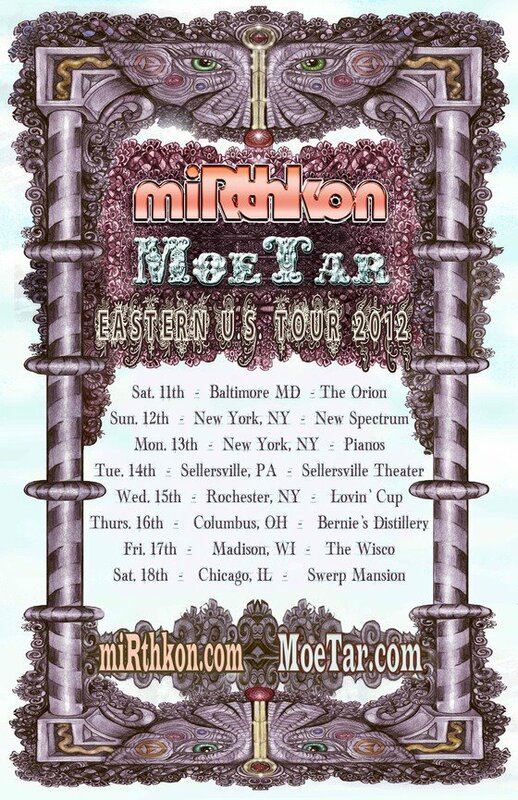 Orion Sound Studios topped themselves, once again, by hosting MoeTar and miRthkon. Both bands are absolutely superb, as your narrative aptly captures, and those of us in the Washington, DC / Baltimore-area were treated to top-tier performances on Saturday. As you mention, anyone within striking distance of a tour venue for either of these bands should do themselves a favor and catch the show. There will be no regrets! Thanks for the timely and usual comprehesive, fair review. Great to hear Guinness King enjoyed the snacks! Cookies came along with me and the killer Chespeake Bay crab dip was home-made by the one-and-only (really) Ed Stephens. I missed the crab dip, unfortunately, but the cookies were ace! I will probably make a batch of my own chocolate chip cookies for ProgDay, as they’re easy to carry around and can withstand a road trip. Thanks for the kind words! Thank you, Rick! I am really looking forward to seeing you at ProgDay, and giving you that hug I promised you. Very good show. I didn’t know anything about MoeTar and they really impressed me. It was hot manning that money box. Phew. Luckily the cookies helped distract me from my discomfort!